We hope you find the following basic information useful and look forward to your inquiries about further details. Nationals from some countries require a visa to enter Switzerland. Once a paper is accepted for the conference, we will provide the appropriate letter of invitation. 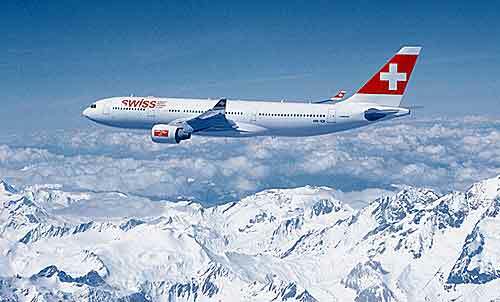 Schengen visa can be used to travel to Switzerland. We can arrange a letter of invitations from out partner organization which includes universities and NGOs if the letter of invitations not accepted. Geneva is famous for hospitality and it has a number of world-class hotels. The participants can arrange their own accommodation. Since hotels in summer is an expensive, we can arrange accommodation for our delegation for our delegates maximum of 7 days. Our arranged accommodations are cheaper compared to hotels with vegetarian and non-vegetarian meals. We have an arrange the accommodation close to scenic areas with the comfort of home. Genève Aéroport offers flights connections to all parts of the world. The conference location can be reached easily from the airport by public transportation. Please contact us for detailed information. We are happy to provide a list of hotel or hostel accommodations arranged by price level. Geneva lies idyllically between Alpine peaks and vineyards by the largest lake in Western Europe. Geneva is the UN capital of peace, home of the luxury watch industry – and a delightful place to visit. Summer is very beautiful with flowers and lots of activities. Jet d’eau – visible from afar, the 140-metre-high water jet is the ‘landmark’ of Geneva. St. Pierre Cathedral – the north tower of the three-naved basilica in the old town of Geneva offers up an unique vista over the city and lake. Palace of the United Nations – on passing through the paled gate of the Palace of the UNO, visitors enter international territory. International Museum of the Red Cross – the birthplace of the International Red Cross houses the only museum dedicated to the history and work of this organisation. Cruises on Lake Geneva – from the cruise boats, visitors can marvel at the unique scenery of castles and magnificent residences set against wonderful landscape and mountain panoramas.